You remember how to get there, don't you? That's right. Second star to the right and straight on till morning. Fantastic! Now all we need is some fairy dust and to think happy thoughts! Only we don't know what we did with the actual fairy who is supposed to be our guide. We were saving one for just this occasion too! We had it in a jar on a desk over in the break room and now it's gone. It seems like someone flew off to the fantasy land without take us! Oh well, it’s not a big deal. We can just pretend that we’re being whisked off to the magical land. (We’re pretty good when it comes to using our imaginations).We'll pretend to be pirates and some of the girls in the office want to be mermaids, and Human Resources can be the fairies. Only we'll need a boy who never wants to grow up too! Say, are you interested in being our Wendy? It won't be hard. None of us have lost our shadows anytime recently and you don't need to bring your little brothers if you don't want to. 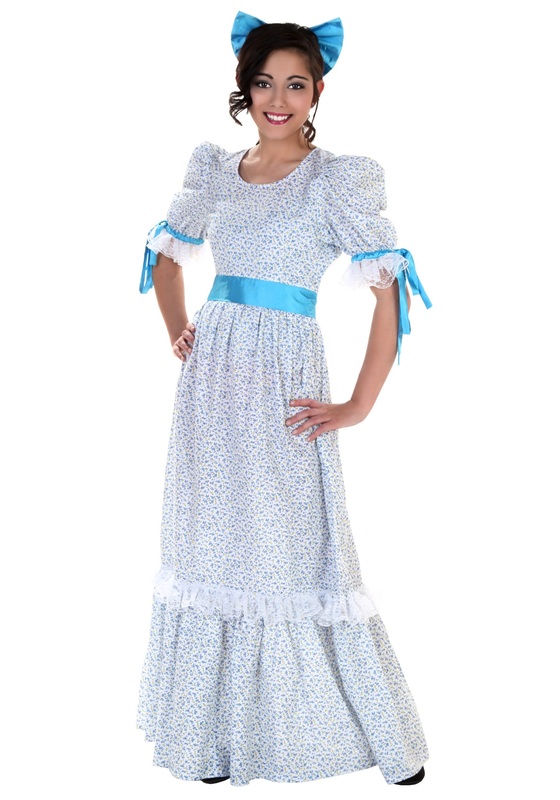 Just put on our Wendy Costume and you'll look the part. It's a floor-length dress in blue with puffy sleeves, lace trims and a blue satin sash and bow. It even comes in a variety of sizes. What do you say? Tell us a story so we can get into character!